One of my good friends purchased a Kindle for his girlfriend for Valentines Day. After playing with it for a only few short hours it quickly became her favorite electronic, which she now carries around with her everywhere she goes in her purse. I recently moved to NYC and take the mass transit everywhere. 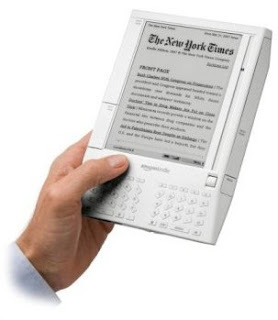 Having something to read with me at all times is essential, and a portable electronic reading device like the Kindle is not only light weight, but also very robust allowing me to download books from virtually anywhere in the world. If you would like to learn more about the Kindle (which I highly recommend doing) this link will redirect you to the Amazon page, where you can read what Amazon and other Kindle users have to say.